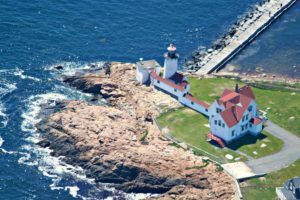 The coast of Massachusetts has some of the most beautiful lighthouses in New England. 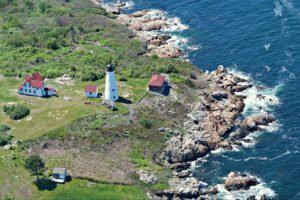 The amazing white capped ocean splashing up against the rocks in front of the classic white and black New England lighthouses makes for a perfect photography experience. Being able to open up the windows of our Cessna 172 for photography makes your photos crisp, clear, and gorgeous. 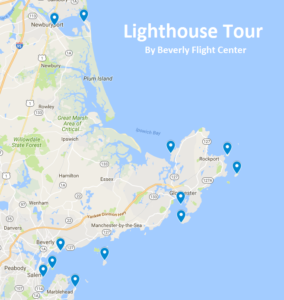 We offer fourteen lighthouses for tours and photography, however customers will be able to chose 5-6 lighthouses to cover in one hour of flight time. 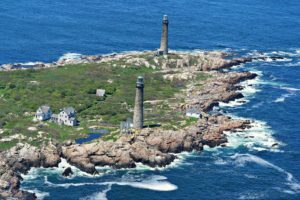 Special request flights are an available option if you would like to exceed the one hour flight time of the tour. 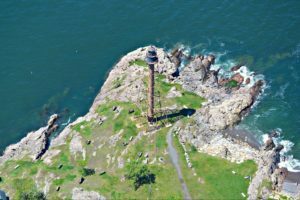 The lighthouses we offer are: Pickering Wharf, Winter Island, Marblehead, Hospital Point (Beverly), Baker’s Island, Eastern Point, Ten Pound Island, Annisquam, Thatcher’s Island, Straitsmouth Island, Plum Island, Newburyport Range.